Buy 10 tickets and get 2 tickets FREE!!!! 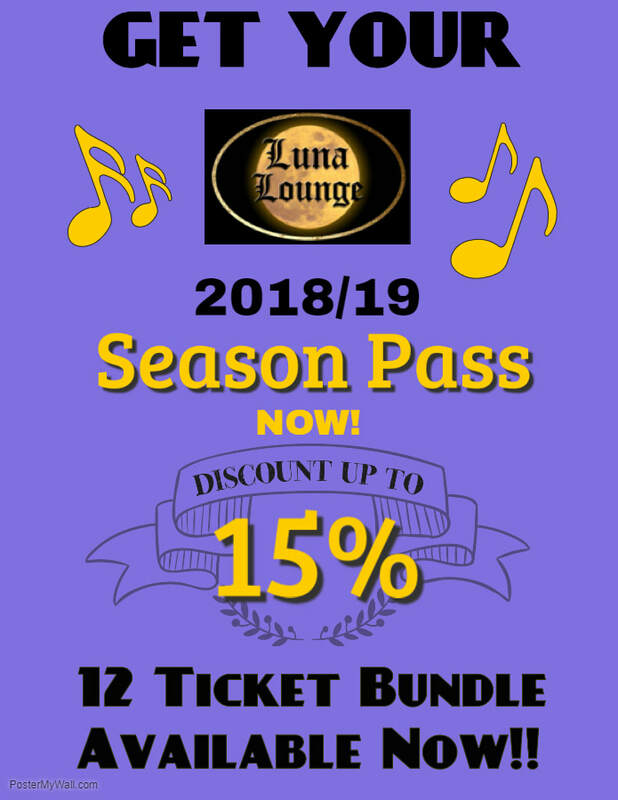 Yes, following the the incredible popularity of our Season Pass tickets last season, we have decided to bring them back again this coming season - and what a great new season it's going to be! We have already confirmed an incredible line up of BRAND NEW SHOWS for you, as well as the return of some of our most popular shows from last year! We only release 50 Season Passes for sale each season so don't delay and get yours today! Remember, you are buying 12 tickets but you only pay for 10! Also remember that your Season Passes are fully transferable and can be used by you and your friends and family too! As usual, you have the option to purchase your Season Pass in the General Admission section or in the GOLD CLUB. The VIP Gold Club tickets will get you a FREE DRINK on arrival (A glass of Prosecco, Wine, National Beer or House Liquor), as well as special seating for your chosen event in our VIP section right in front of the stage! PLEASE NOTE: For your protection, bookings for individual events must be made by the Season Pass holder. Remember that your tickets can be used any way you like for any shows. You can give some as gifts to others. And remember, the purchaser does not have to attend the show. ** 15% Discount Off Regular Ticket Prices. ** Unlimited changes and cancellations up to 48 hours before event..
** Fully Transferable to other people.